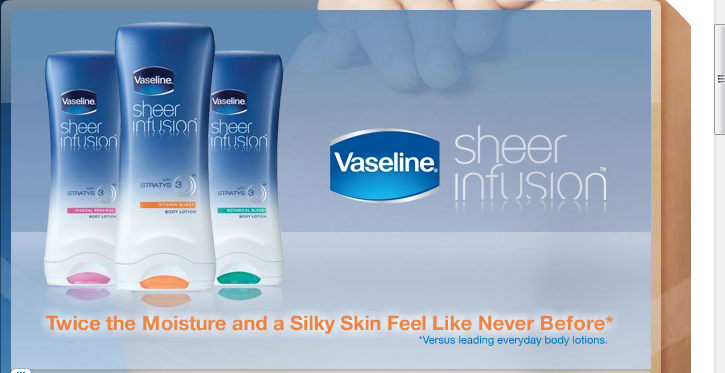 My Bargain Basket: Target: Vaseline Sheer Infusion for ONLY 24 Cents! 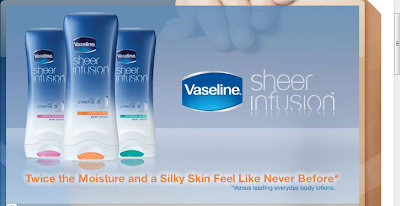 Target: Vaseline Sheer Infusion for ONLY 24 Cents! Here is a great deal on Vaseling Sheer Infusion lotion at Target! If you don't need this lotion for yourself, think of filler for a gift bag or basket! Mother's Day is coming soon!